A New Re-Animator in the Works? Home / News / A New Re-Animator in the Works? It’s been years since House of Re-Animator was announced. The film was going to be a follow-up to Stuart Gordon and Bryan Yuzna’s fantastic Re-Animator trilogy. These films starred Jeffrey Combs as mad scientist Herbert West; who just so happens to have a penchant for re-animating the dead. Unfortunately there’s been no word on any developments, and the film has for all intents and purposes been cancelled. Fans everywhere have been devastated and it was assumed there would never again be a continuation of the franchise – until now. According to That’s Not Current, it seems the franchise is slowly twitching back to life in the form of Re-Animator: Evolution. Unfortunately the film isn’t quite what fans have been hoping for. Rather, it seems to be the opposite. The movie has no involvement from Stuart Gordon, Bryan Yuzna, or Jeffrey Combs. It also seems to have no involvement with the other films’ storylines. And on the film’s Facebook page, you can see that it was previously titled Antihuman. So, it may just be a case of changing the title to trick the fans of Re-Animator into seeing it. I will say that the film has Brad Dourif and Lin Shaye involved, so that sounds interesting, but the plot also reads like the total antithesis of Re-Animator. Can’t say I’m too excited about that. 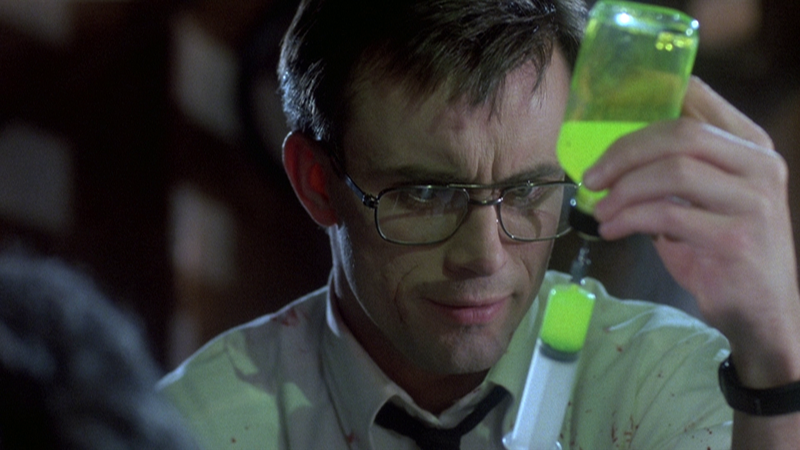 I hope that one day we’ll get House of Re-Animator instead. Re-Animator: Evolution is expected for release sometime early 2017. Next Story → Leatherface and His Family Return in Full Length Fan Film ‘Dog Will Hunt’!